Houghton Mifflin Harcourt, 9781328683786, 736pp. 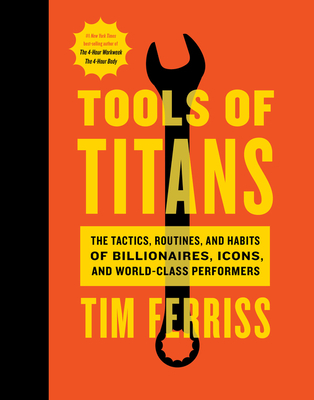 "Tools of Titans...is the perfect read for obsessives wanting to boost their new year productivity." "A Poor Richard's Almanack for the 21st century, Tools of Titans is a practical and inspiring guide to being your best."